The panel, equipped with a rich variety of case material, will review several major research threads bearing on the effectiveness of collaborations involving geographically distributed participants. Starting with a review of key aspects of organizational coordination, the panel will examine two case studies from the Open Science Grid, emphasizing the concept of “delegation,” which refers to the mix of social and technical elements that govern how the virtual organization manages work. Next will be a focus on the lifecycles of virtual teams, drawing on studies of teams using the National High Magnetic Field Laboratory, where variation in data sharing practices will be a central component of the analysis. An analysis of the existing cyberinfrastructure to support virtual teams, with an eye toward identifying gaps that need to be filled will follow. 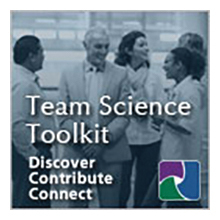 Finally, an assessment tool for characterizing the strengths and weaknesses of distribution collaborations. Michael Beyerlein, Ph.D., is a Professor for Organizational Leadership & Supervision at Purdue University. Formerly, he was department head of OLS and Director of the Center for Collaborative Organizations and Professor of Industrial/ Organizational Psychology at the University of North Texas. His research interests include: collaboration, including work teams, virtual teams, and virtual organizations; organizational design and change; creativity and innovation systems; knowledge management and the learning organization; leadership, especially across boundaries; and science competencies, collaboration, and processes. His current projects focus on the interplay of social and technical factors in virtual collaboration. He has been a member of the editorial boards for TEAM Magazine, Team Performance Management Journal, and Quality Management Journal and senior editor of the Elsevier annual series Advances in Interdisciplinary Studies of Work Teams and the Jossey-Bass/ Pfeiffer Collaborative Work Systems series. He has authored or edited 20 books, including: The handbook for high performance virtual teams: A toolkit for collaborating across boundaries (2008), Guiding the journey to collaborative work systems: A Strategic Design workbook (2004), and Collaborative capital (2005). He has been involved in projects with such companies as Boeing, Shell, NCH, AMD, Intel, Raytheon, First American Financial, Westinghouse, and Xerox and with government agencies such as Veterans Affairs, DCMAO, EPA, and the City of Denton, Texas. Thomas Finholt, Ph.D., is Senior Associate Dean for Faculty and Professor in the School of Information at the University of Michigan. He received his Ph.D. in Social and Decision Sciences from Carnegie Mellon University and his B.A. from Swarthmore College. Dr. Finholt’s research focuses on the design, deployment, and use of cyberinfrastructure in science and engineering. He was a co-developer of the world’s first operational collaboratory, a co-founder of the Collaboratory for Research on Electronic Work (CREW), and the inaugural director of the NSF’s summer research institute for the science of sociotechnical systems. Currently, Dr. Finholt is the PI on several NSF-supported projects, including a Virtual Organizations as Socio-technical Systems (VOSS) award to study large, cyberinfrastructure-enabled scientific collaborations, such as Open Science Grid. In this work he is particularly focused on computational mediation of the work of organizing, such as trust formation and maintenance. Dr. Finholt is also leading the VIrtual Space Interaction Testbed (VISIT) project at the University of Michigan. VISIT is an effort to use ultraresolution displays as environments for geographically distributed collaboration within and beyond the UM campus. Chris Hinnant, Ph.D., is an Assistant Professor in the College of Communication and Information at Florida State University. He is a former Fellow and Assistant Director in the IT Team at the U.S. Government Accountability Office. His research interests include social and organizational informatics, digital government, information management and policy, public management, social science research methods, and applied statistics. He is particularly interested in how organizations employ Information and Communication Technology (ICT) to alter organizational processes and structures and how the use of ICT ultimately impacts institutional governance mechanisms. His research has appeared or is forthcoming in journals such as Journal of the American Society for Information Science and Technology, Administration and Society, Government Information Quarterly, Journal of Public Administration Research and Theory, and ¬IEEE Transactions on Engineering Management. He earned his B.S. and M.P.A. at North Carolina State University and his Ph.D. in Public Administration from the Maxwell School at Syracuse University. Judy Olson, Ph.D., is the Bren Professor of Information and Computer Sciences in the Informatics Department at the UC Irvine, with courtesy appointments in the School of Social Ecology and the Merage School of Business. She has researched teams whose members are not collocated for over 20 years, summaries of which are found in her most cited paper, “Distance Matters,” (Olson & Olson, 2000), and in her key theoretical contribution in the book Scientific Collaboration on the Internet (Olson, Zimerman, and Bos, Eds., 2008). Her current work focuses on ways to verify the theory’s components while at the same time helping new scientific collaborations succeed. She has studied distributed teams both in the field and in the laboratory, the latter focusing on the communication hurdles distributed teams have and the consequent underutilization of remote team members skills and the reduction in trust. She is a Fellow of the Association for Computing Machinery and with her husband and colleague, Gary Olson, holds the Lifetime Achievement award from the Special Interest Group in Computer Human Interaction.